In the first three months of this year, eight people have died from opioid-related causes in Windsor-Essex. 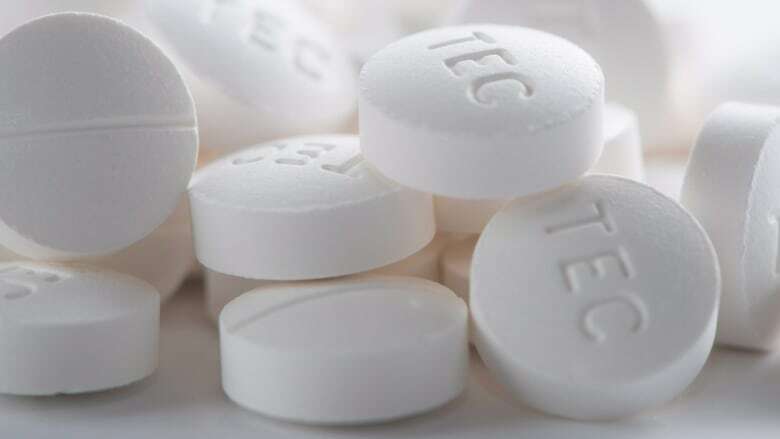 According to the latest data, eight people have died from opioid-related causes in the first three months of this year in Windsor-Essex, four of them in March. That figure is compared to the 1,036 apparent opioid-related deaths across Canada in the same time period. However, the numbers don't give the full picture, said Wahjid Ahmed, the acting medical officer of health with the Windsor-Essex County Health Unit. "I prefer to look at the yearly stats," he said. "And when I'm looking at the yearly number of deaths that's associated with opioid use in our community, it's going in the wrong direction." Last year there were 36 deaths in total, although the figure is still preliminary. There were 18 in 2014, 24 in 2015 and 37 in 2016. Ahmed said the health unit has been working with community partners to address the problem in the community. And they have seen some increased awareness among people about overdoses and their signs and symptoms — something that is shown through the higher number of emergency department visits. 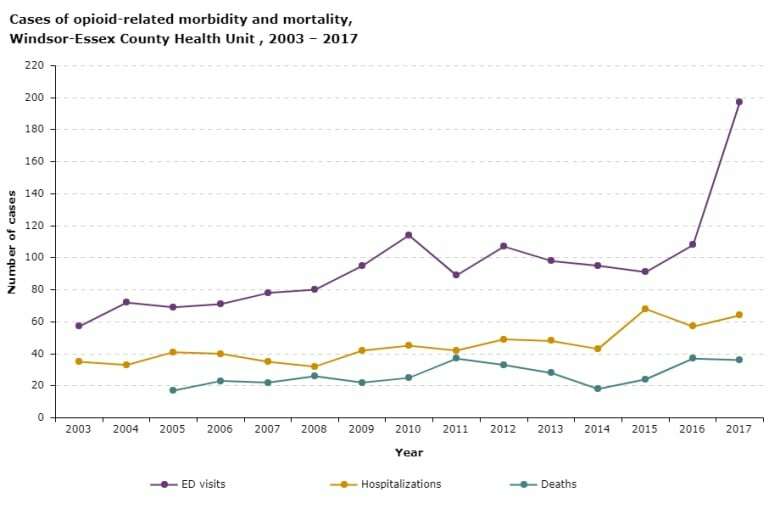 The number of opioid-related emergency department visits in 2017 was 197, compared to 108 in 2016. Something to add to those numbers is that many of the visits are deemed accidental overdoses. Health Canada reported that 94 per cent of the deaths across the country from the first quarter of 2018 are "unintentional or accidental." Ahmed said this means drugs that are high in potency are landing in the lands of people in the community. The health unit has been working in the community to distribute more naloxone kits and also finding better addiction management options with health care providers. "We still need to do a lot," said Ahmed, "This crisis that we are experiencing right now, it didn't happen overnight." In an earlier version of this story it was stated there were 25 opioid-related deaths in 2015. The correct number is 24 opioid-related deaths, according to local health unit officials.